Venture out of the city with trips to Murray Street Vineyards (in Greenock), Langmeil Winery (in Tanunda) and The Cedars (in Hahndorf). Dedicate the 17th (Tue) to wine at some of the top wineries in the area. The adventure continues: learn more about the world around you at South Australian Museum, take an in-depth tour of Migration Museum, explore the world behind art at Art Gallery of South Australia, and make a trip to Adelaide Oval. To find other places to visit, reviews, more things to do, and tourist information, use the Adelaide trip planning website . Windhoek, Namibia to Adelaide is an approximately 25-hour flight. The time zone changes from Central African Time (CAT) to Australian Central Standard Time (South Australia) (ACST), which is usually a 7 hour difference. Traveling from Windhoek in September, expect nights in Adelaide to be a bit cooler, around 11°C, while days are much colder, around 21°C. Wrap up your sightseeing on the 21st (Sat) to allow time to travel to Coober Pedy. Start off your visit on the 22nd (Sun): identify plant and animal life at Josephine's Gallery & Kangaroo Orphanage, admire all the interesting features of Tom's Working Opal Mine, and then admire nature's extreme beauty at Breakaways Conservation Park. Get ready for a full day of sightseeing on the next day: stop by Seven Stones Designer Jewellers, examine the collection at Old Timers Mine, then admire the landmark architecture of Faye's Underground Home, then take in the architecture and atmosphere at St Peter & Pauls underground Catholic Church, and finally take an in-depth tour of Umoona Opal Mine & Museum. For other places to visit, more things to do, reviews, and other tourist information, you can read our Coober Pedy day trip tool . You can fly from Adelaide to Coober Pedy in 4 hours. Alternatively, you can drive; or take a bus. Expect a bit warmer weather when traveling from Adelaide in September: highs in Coober Pedy hover around 28°C, while lows dip to 12°C. Wrap up your sightseeing on the 23rd (Mon) early enough to drive to Alice Springs. Spend the 26th (Thu) exploring nature at Finke Gorge National Park. 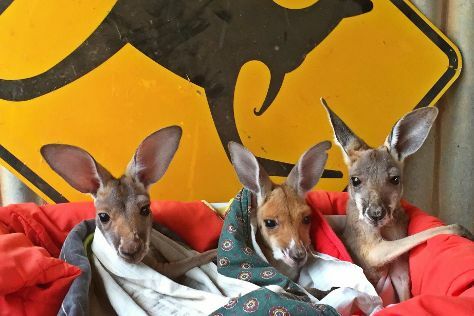 The adventure continues: look for all kinds of wild species at The Kangaroo Sanctuary, take your sightseeing to a higher altitude at Mount Gillen, contemplate the long history of Alice Springs Telegraph Station Historical Reserve, and head outdoors with Ellery Creek Big Hole. To see ratings, maps, reviews, and tourist information, go to the Alice Springs trip itinerary tool . Traveling by car from Coober Pedy to Alice Springs takes 7 hours. Alternatively, you can take a bus; or fly. While traveling from Coober Pedy, expect a bit warmer days and about the same nights in Alice Springs, ranging from highs of 32°C to lows of 11°C. Cap off your sightseeing on the 28th (Sat) early enough to travel to Darwin. When in Darwin, make a side trip to see Litchfield National Park in Batchelor, approximately 1h 45 min away. Spend the 29th (Sun) wandering through the wild on a nature and wildlife tour. Plan for a day of cool, family-friendly fun on the 3rd (Thu) at Darwin Waterfront. And it doesn't end there: kick back and relax at Mindil Beach, view the masterpieces at Mason Gallery, get engrossed in the history at RFDS Darwin Tourist Facility, and learn about all things military at Darwin Aviation Museum. For more things to do, traveler tips, where to stay, and more tourist information, read our Darwin trip itinerary builder site . Fly from Alice Springs to Darwin in 5.5 hours. Alternatively, you can drive; or take a bus. Traveling from Alice Springs in September, expect nights in Darwin to be much hotter, around 26°C, while days are somewhat warmer, around 38°C. Cap off your sightseeing on the 3rd (Thu) early enough to travel to Cooktown. Cooktown is a small town and locality in the Shire of Cook, Queensland, Australia. Kick off your visit on the 4th (Fri): visit a coastal fixture at Grassy Hill, then kick back and relax at Finch Bay, then look for all kinds of wild species at Great Northern Tours, and finally take in the dramatic scenery at Trevethan Falls. Here are some ideas for day two: take an in-depth tour of James Cook Museum, steep yourself in history at Cooktown History Centre, and then cast your line with a fishing tour. For maps, where to stay, ratings, and other tourist information, refer to the Cooktown trip planner . The Route module can help you plan travel from Darwin to Cooktown. Wrap up your sightseeing on the 5th (Sat) early enough to travel to Cairns. Venture out of the city with trips to Port Douglas (Safaris, Wildlife Habitat Port Douglas, & more) and Palm Cove (Hartley's Crocodile Adventures & Palm Cove Beach). Spend the 6th (Sun) among aquatic life with a scuba or snorkeling tour. There's lots more to do: trek along Esplanade Boardwalk, enjoy unforgettable views with a balloon tour, take in nature's colorful creations at Botanical Gardens, and take in the architecture and atmosphere at St Monica's Cathedral. To find more things to do, maps, ratings, and other tourist information, you can read our Cairns trip itinerary maker app . Getting from Cooktown to Cairns by car takes about 4.5 hours. October in Cairns sees daily highs of 34°C and lows of 24°C at night. Wrap up your sightseeing on the 12th (Sat) early enough to travel to Brisbane. Venture out of the city with trips to Sea World Theme Park (in Main Beach) and Conondale National Park (in Kenilworth). There's lots more to do: walk around South Bank Parklands, look for all kinds of wild species at Lone Pine Koala Sanctuary, tour the pleasant surroundings at Moffat Beach, and admire the natural beauty at City Botanic Gardens. To find ratings, reviews, photos, and more tourist information, you can read our Brisbane driving holiday planner . You can fly from Cairns to Brisbane in 5.5 hours. Other options are to do a combination of flight and bus; or drive. 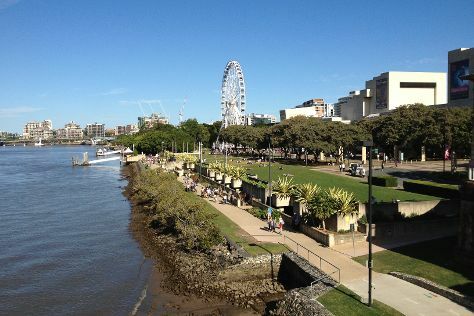 Traveling from Cairns in October, things will get a bit cooler in Brisbane: highs are around 29°C and lows about 19°C. Wrap up your sightseeing on the 18th (Fri) early enough to travel to Sydney. Get out of town with these interesting Sydney side-trips: Everglades Historic House and Gardens (in Leura), Wentworth Falls (in Katoomba) and Norman Lindsay Gallery & Museum (in Faulconbridge). Spend the 23rd (Wed) exploring nature at Sydney Harbour National Park. 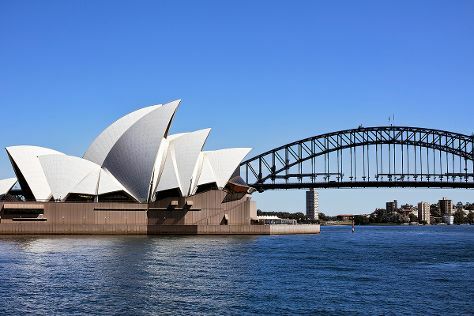 There's still lots to do: see a show at Sydney Opera House, kick back and relax at Bondi Beach, tour the pleasant surroundings at Manly Beach, and appreciate the extensive heritage of The Rocks. Traveling by flight from Brisbane to Sydney takes 4 hours. Alternatively, you can do a combination of bus and flight; or drive. Expect a daytime high around 28°C in October, and nighttime lows around 17°C. Wrap up your sightseeing on the 27th (Sun) to allow time to travel to Melbourne. Change things up with a short trip to The Great Ocean Road in Torquay (about 1h 40 min away). Dedicate the 1st (Fri) to wine at some of the top wineries in the area. The adventure continues: admire the natural beauty at Royal Botanic Gardens, admire nature's wide array of creatures at Melbourne Zoo, get your game on at Zero Latency, and examine the collection at Melbourne Museum. To see ratings, maps, more things to do, and more tourist information, go to the Melbourne trip planning tool . You can fly from Sydney to Melbourne in 3.5 hours. Alternatively, you can do a combination of flight and shuttle; or drive. Expect slightly colder temperatures when traveling from Sydney in October; daily highs in Melbourne reach 24°C and lows reach 9°C. Finish your sightseeing early on the 2nd (Sat) to allow enough time to travel back home.